ESS Global Corp, a leader in executive protection and security services is pleased to announce a Tactical Baton Training in Tampa May 10, 2016. If you live in the Tampa / Clearwater area and are looking for ASP certification for Tactical Baton, sign up today for Tactical Baton Training in Tampa on May 10 at our Corporate Headquarters in Tarpon Springs Florida. Tactical Baton Training in Tampa is a hands-on seminar which trains participants in the operational use of the ASP Tactical Baton. The ASP Basic Certification (ABC) is a 7-hour, hands-on seminar which trains participants in the operational use of the ASP Tactical Baton. The program is simple to learn and easy to understand. It provides effective defensive impact weapon tactics for law enforcement and private security personnel, as well as responsible civilians without long hours of training. The techniques were designed to work effectively for all users, male and female, large and small, fit as well as those in less-than-peak physical condition. The program provides portation (carrying) and presentation (drawing) procedures as well as striking techniques. These tactics are quickly learned, easily practiced and readily maintained long after the program is completed. 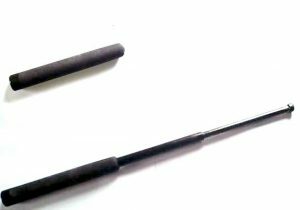 The ASP Tactical Baton is designed to be used as an impact weapon, not a come-along device. There are no complicated holds or complex moves. The techniques work on the street, not just in the classroom. The techniques are court defensible and are backed by the nation’s most experienced use-of-force consultants. The program is administratively feasible for use in a contemporary private security or law enforcement agency. Class Length: 2.5 hours classroom, 4.5 hours training and drills. 2. Appropriate Clothing – Students should bring appropriate clothing to participate in the classroom portion of the presentation. Athletic clothing is recommended for hands-on training and drills. 3. Note-Taking Material – Pen, pencil, and paper to take notes with in the classroom. Posted in ESS Global Corp, training and tagged tactical baton training clearwater, tactical baton training in tampa.